Grades 9, 10, & 11 will have picture retakes on Wednesday, October 17 in the front foyer of the gym. Students should go during their English class, online class period, or lunch period. If students want to get new picture packages, they will need to bring in their original prints to exchange. Order forms are available in room 522. 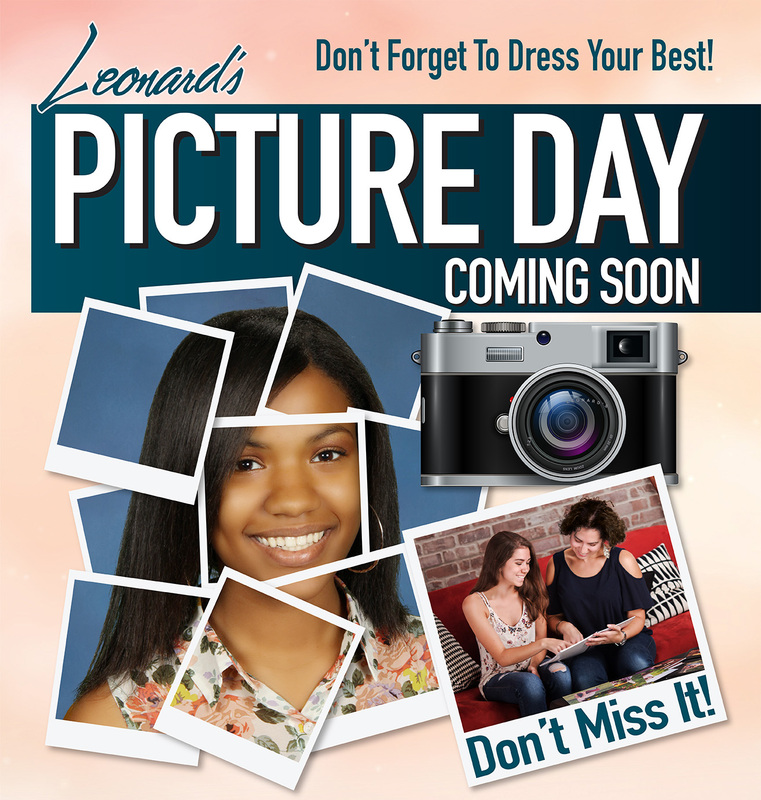 SENIORS: If you did not get your photos taken for the yearbook with Leonard’s, they have some available spots left! Contact the studio to make your appointment asap. DEADLINE is October 22nd. There is a $15 sitting fee for both a formal and casual pose. (BOTH are needed for the yearbook!) If you have any questions, see Ms. LaBarbara in room 522.